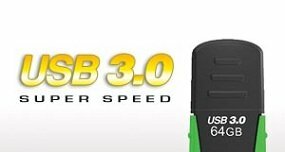 Designed with speed-conscious active users in mind, the ultra fast JetFlash 810 is an affordable rugged USB 3.0 flash drive that makes it easy to store, carry and share all your digital files wherever you go. Using the latest Toggle TLC flash technology, Transcend’s JetFlash 810 features a SuperSpeed USB 3.0 interface with a read and write transfer rate of up to 85MB/s and 25MB/s respectively. Available in a wide range of capacities, the JetFlash 810 lets you carry all of your favorite movies, music, documents, and much more – all in the palm of your hand. The sporty JetFlash 810 features durable, water-resistant construction and a compact vibrant design to provide excellent resistance to shock, moisture, dust and other contaminants. The compact, durable body of the JetFlash 810 flash drive will not block adjacent ports on your computer or device. Using the JetFlash 810 couldn’t be easier. Simply connect the drive to a SuperSpeed USB 3.0 port and drag and drop desired files to and from the device. The JetFlash 810 supports Microsoft Windows 7/8 (32-bit and 64-bit), Windows Vista, Windows XP, Mac OS X, and Linux systems, and is backwards compatible with USB 2.0 and older USB 1.1 ports. Application is not only limited to computers. The versatile JetFlash 810 can also be used with any device equipped with a USB port, including TVs, Blu-ray players, DVD players, stereos, digital photo frames and games consoles. For these applications, additional software is not required; all media playback is handled by the device. For added value, the JetFlash 810 includes the exclusive Transcend Elite data management tools. The software can be downloaded and installed from the Transcend website for free after purchase of the JetFlash drive. With this convenient software, you can easily perform incremental backups, compress files with 256-bit AES Encryption, and much more. 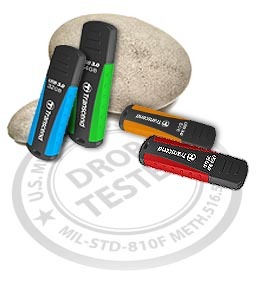 Transcend’s JetFlash 810 USB flash drive is manufactured with premium quality NAND Flash memory chips and is extensively tested for performance and reliability. 1. Based on file size 2MB. 2. Based on 4min per song, 128Kbps quality. 3. Based on 2.25GB per hour DVD quality. Storage capacity approximations are for general reference only. Actual results will vary depending on resolution, compression quality, video frame rate/interlace settings, and content. 1GB = 1 billion bytes. A certain portion of the storage capacity may be reserved for firmware and maintenance use. * Note: speed may vary depending on the device and usage of hardware or software.